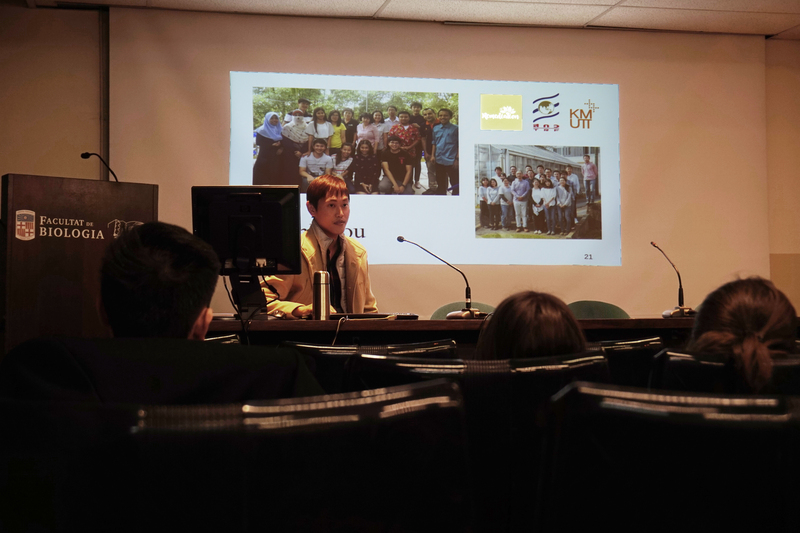 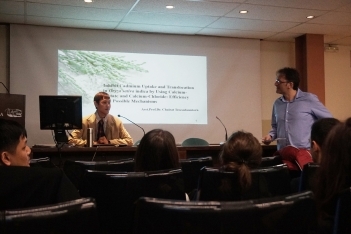 Dr. Chairat Treesubsuntorn from the Pilot Plant Development and Training Institute (PDTI) in Bangkok (Thailand) gave a speech at the University of Barcelona about his latest research on the inhibition of cadmium uptake and translocation in Oryza sativa indica by using calcium-acetate and calcium-chloride. 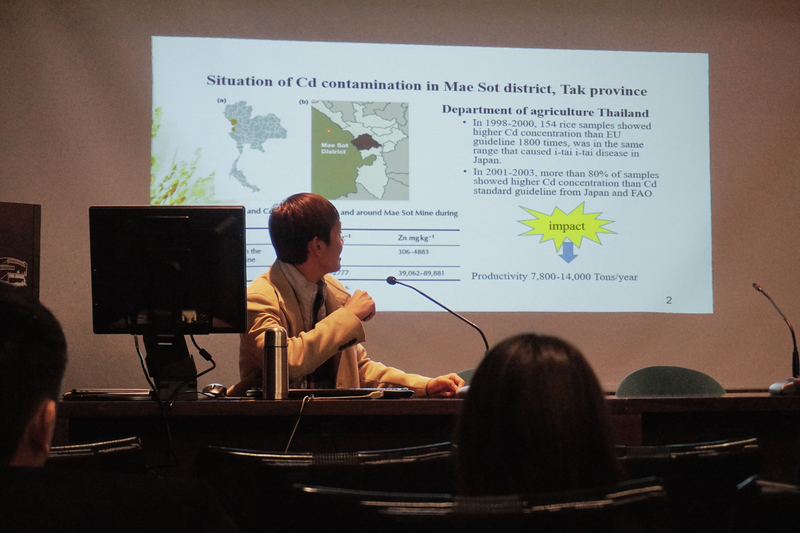 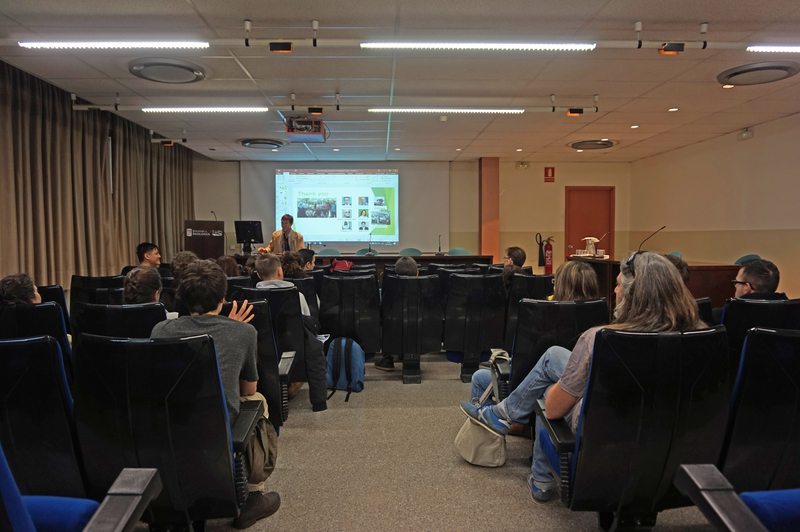 Several members of the plant physiology department as well as students from the Biotechnology degree attended Dr. Chairat Treesubsuntorn talk where he highlighted the importance of biotechnology to give solutions to cultivate in polluted areas safely. With this regard, Arnon Setsungnern, a PhD student from Dr. Treesubsuntorn has performed a research stay at the ANTIOX group to increase his knowledge about the influence of phytohormones during abiotic stress which complement his phytoremediation studies.